Paris Saint-Germain is a French powerhouse with their incredible line-up, which includes players such as Cavani, Neymar Jr., and the new World Cup winner Mbappé. 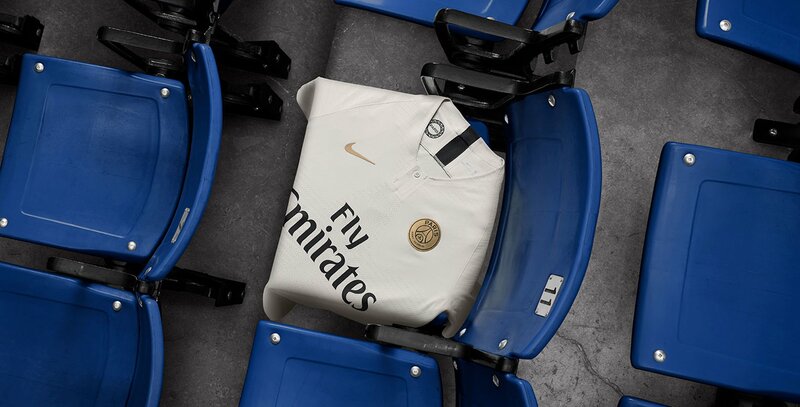 Nike has made a new Away Kit that not only pays tribute to PSG, but the whole city of Paris. Year after year PSG is getting closer to the record for most winning Ligue 1 trophies. 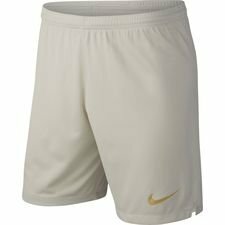 They won their 7th title in the 2017/18 season, and Nike has made a new Away Shirt that pays tribute to the achievement. But the shirt also pays tribute to Paris, who backs the club week after week. The new 2018/19 Away Shirt makes them ready for the new season, where another trophy awaits the giants. The PSG shirts have become streetwear throughout the last couple of years, and many might remember their Third Shirt from the 2016/17, pure class! The new 2018/19 Away Shirt is no exception as it gets a so-called light stone colour, which refers to the many great and famous monuments, which lies around in the city of Paris, with one particular arc in mind. This arc has been a meeting spot for Parisians, and this lies close to PSG, which now-a-days also is a rallying point for fans after all their glory days. 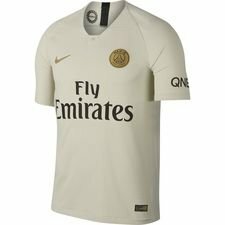 The PSG 2018/19 Away Shirt is made in a combination of grey and beige, with a golden touch on the iconic PSG and Nike logo. Furthermore, a Fleur-de-lis is placed on the back of the neck, which is a reminder of the Gallic pride and passion. But one more detail is added, which is a small symbol placed on the inside of the shirt. The symbol pays tribute to the famous Arc de Triomphe. 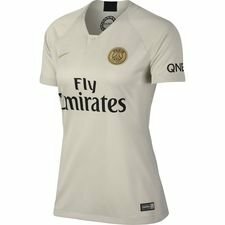 The new PSG 2018/19 Away Shirt is a synonym for Paris, and breathes the passion, lifestyle and love that the city has for its history and world-famous football club. 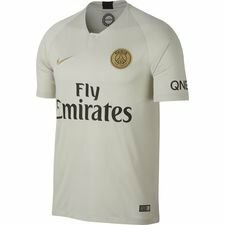 Get your PSG 2018/19 Away Shirt at Unisport. You can already now order your new shirt!